Possibly, the greatest font ever - Burleigh Create - Creative Studio, Bristol, Graphic Design, Web design, Marketing, Mailing, Print, Printing, Digital Printing, digital media, Bristol, Portishead, Clevedon, WSM, North Somerset. 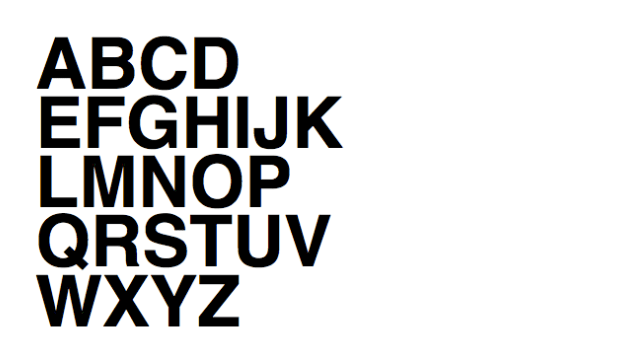 Helvetica, the greatest font ever? Possibly, given the fact that it is used to spell out major brand identities (Nestlé, Lufthansa), shop names (American Apparel), public signage (the New York subway system was an early adopter), tech companies (Microsoft, Intel, Apple – current iPhones use the fashionably skinny Helvetica Neue) and self-defeatingly ironic T-shirt slogans (“I hate Helvetica”). Helvetica or Neue Haas Grotesk is a widely used sans-serif typeface developed in 1957 by Swisstypeface designer Max Miedinger with input from Eduard Hoffmann. Love it or loathe, Helvectica is going nowhere, and will remain a go-to font for brand and logo designers. It is a classic, a work of wonder and a font that will remain forever loaded in our hearts.